The Gold Coast Tweed Motorsporting Club has announced a naming rights sponsor for the clubs’ new dual state championship rally. Current NSW Rally Champion, Glenn Brinkman, has signed with the club to name the event Accent Benchtops Working Dog Rally. Accent Benchtops is a highly successful company based in Tweed Heads and is well known for its support of local sport. 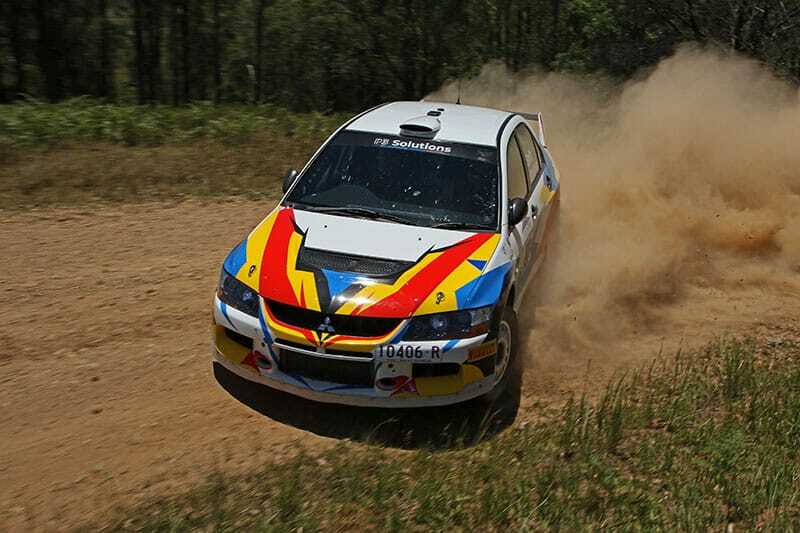 Owner Glenn Brinkman has been rallying in both Queensland and NSW over the past 20 years. Matt Sosimenko, Clerk of the Course, believes Glenn’s involvement as the event’s major sponsor is a great boost for the sport. The announcement of Accent Benchtops as a major sponsor coincides with the Kyogle Councils’ approvals for the event to be based in Bonalbo NSW on the 20th July 2019. The GCTMC Inc. Executive acknowledges the continued support given by the Council as they already conduct several rallies in the Kyogle LGA including the Border Ranges Rally. Matt has enlisted the assistance of some of Australia most experienced rally officials including Wayne Kenny, Brian Everett and Errol Bailey. In addition, the team that ran the successful Border Ranges Rally of previous years will also be involved. So why call it the Working Dog Rally? Bonalbo is famous for its long history with working dogs. In fact, the first Working Dog Trial was held in 1954 as part of the Bonalbo Show. This is a new event and is not a replacement rally. It will be a round of the MTA NSW Rally Championship, the P3 Solutions Queensland Rally Championship, and the East Coast Classic Rally Series. “All stages will be conducted on shire roads; seven daylight and two-night stages. To keep the rally simple for competitors this will be a 110 km one-day blind event with Rally HQ, Service Park, start, finish and trophy presentation at the Bonalbo Show Grounds all on the Saturday. RallySafe will feature at this event with both tracking and timing allowing the public to follow the competitors progress.